The Police has launched a messaging service; Essex Community Messaging which provides all who sign up with regular update of crimes committed in their area. This is a useful tool as it gives advice of avoiding becoming a victim of these crimes. This page is updated as often as possible and the link directs you to their webpage to sign up for this service. Please scroll down through the page to keep up to date with the latest news. People living or working in Colchester who have concerns about policing and crime or who would like to learn more about joint governance of the Police and Fire Service, are invited to come along and air their views at a public meeting being held by Roger Hirst, the first Police, Fire and Crime Commissioner in the country. Mr Hirst will be coming to the area on Monday, November 27, 2017. The event, which starts at 6.30pm, is open to everyone. Mr Hirst will be joined by Chief Inspector Shaun Kane, CSP Chair Pam Donnelly and representatives from Essex County Fire and Rescue Service. Details of current crime trends and on going operations will be discussed at the meeting. Anybody going along will have the opportunity to put their questions and concerns to the panel. It is being held at the Grand Jury Room, High St, Colchester CO1 1PJ, from 6.30pm to 8pm. There is still time to take part in a survey being run by Roger Hirst, the Police, Fire and Crime Commissioner for Essex. Mr Hirst wants to know if you would be willing to pay more Council Tax to increase levels of policing in Essex. The online survey, available here http://surveys.essexinsight.org.uk/policepreceptcloses at midnight tomorrow (Thursday, November 23). Funding for Essex Police comes from two sources – central Government and local Council Tax. Taking these two funding sources into account, Essex Police receives the lowest funding per resident of any police force in the country and has the sixth lowest council tax for policing. Ie. Charity goodie bags, putting these together, labelling envelopes, etc etc. Also we would love to hear from any Christmas projects across Essex that may need our help! WANTED – Your unwanted latches, locks, bells, door handles, hinges, hooks and other bits and bobs! Essex Youth Offending Service are collecting good quality unwanted items for their Dementia project. Young people at the Youth Offending Service are making sensory latch boards which dementia patients in Essex Care homes can play with. The young people have made the wooden latch boards they just need the items such as locks and bells and hooks to put on the boards before we can send them out to the care homes! Doorstep Crime usually occurs when residents are called upon in relation to bogus property repairs or gardening services. The Doorstep callers may suggest that there is some urgency to work being carried out so that you allow them to enter your property. The callers charge extortionate prices for poor and unnecessary work. We want you to be aware of this type of activity to ensure this doesn’t happen to you, or anyone you know. • If anyone arrives at your door, ask them for identification – you do not have to let them in and they must leave if you request them to do so. • If you decide you are interested in the work, take the time to research other companies and find out about their businesses. If you fear that this has happened to you, or you need to report this in the future please do not hesitate to do so. If you feel you are in immediate danger call 999, if the incident has already occurred please report through 101. Remember IF YOU ARE UNSURE, DO NOT ANSWER THE DOOR. This is a scheme which will allow victims of crime and anti-social behaviour (such as neighbour disputes) the chance to communicate with the perpetrator/s. We are offering an opportunity for people who have the ability to learn skills that would allow them to assist us. The Essex Restorative Justice and Mediation Service facilitates safe communication between those involved in a crime or conflict and allow victims to ask questions and receive meaningful reparation for the harm that has been caused. We are looking for volunteers to help us to deliver this service. with the outdoor environment and learn about wild spaces. The group worked well together and were able to gain an award for their efforts. One young person who took part in the award said he felt he was proud of being part of the scheme and felt he had achieved a lot and he felt the whole experience gave him a big boost to his self-confidence and was very pleased he took part. Upon walking down the road and with the darker nights now it is easy to spot that empty house; there is a line of houses, lights within and signs of occupancy. In the middle of these houses is a similar house but this one is in darkness with no signs of occupancy, easy to spot the empty house and chances are the burglar will too. At this time of year an increased number of house burglaries occur between dusk and when you get home. You don’t have to be a magician to create the illusion of occupancy and it may help protect your house. To become an illusionist make your home appear occupied even when you are out. Simple things like lights on timers in rooms that you would normally occupy whilst in and a TV simulator for the evenings, you can now even get a timer that fits over your light switches (search on the internet for light switch timer) and door bells you can monitor and answer remotely via your mobile phone. During the day leave a radio on, boots outside the back door, newspaper over the arm of the chair with a drink on the table and a pair of spectacles, the list goes on. Don’t leave garden tools out in the garden though or you may find the burglar uses them. Lock tools securely away in a secure shed or garage; use a shed alarm these can also be remotely monitored too. Victim Support is an independent charity supporting victims of crime. Last year our team of trained volunteers and staff supported over 3,000 people across Essex. We will train you to offer emotional and practical support to people affected by crime. Successful applicants will have a place on our next four day training course in Chelmsford this November (3rd, 4th, 17th & 18th). Interested? Find out more by emailing essexvolunteering@victimsupport.org.uk or by calling the Essex Service Delivery team on 01277 357557. I have also attached a flyer for circulating as you feel appropriate. A scheme which will allow victims of crime and anti-social behaviour (such as neighbour disputes) the chance to communicate with the perpetrators. This is an opportunity for people to volunteer their time and skills, people who have the ability to learn skills that would allow them to assist us. to ask questions and receive meaningful reparation for the harm that has been caused. Essex Police are looking for members of the community to become Active Citizens. The volunteers should be a movable group of reliable and professional people, keen to make a difference in the community and become a valuable local resource. They should be a visual deterrent and a link between the public and Police, to achieve more cohesive communities, interact with residents and help to make Policing more transparent. Due to the recent events in Manchester and the current raised threat level there has been a postponement of the following events that have been previously circulated on ECM. • The Southend Stay Safe for Summer event being held on 1st June 2017 at Southend High Street. • The Maldon and Chelmsford Stay Safe for Summer event being held on 7th June at Promenade Park. These two events have not been cancelled due to any potential threats but are due to the ongoing impact for agencies around the contingencies of the raised threat level. As a result some agencies and emergency services may not be able to support to this event and the decision has therefore been made to postpone them to a later date. Once the new date has been arranged we will ensure it is circulated to you all through ECM and our relevant media and communication channels. Can I take this opportunity to remind you if you are attending any events over the next few day’s then you may wish to check the events are still taking place or to take any note of security advice about travelling to your venue. Action Fraud has received the first reports of Tech-Support scammers claiming to be from Microsoft who are taking advantage of the global Wanna Cry ransomware attack. The victim granted the fraudsters remote access to their PC after being convinced there wasn’t sufficient anti-virus protection. The fraudsters then installed Windows Malicious Software Removal Tool,which is actually free, and took £320 as payment. It is important to remember that Microsoft’s error and warning messages on your PC will never include a phone number. Additionally Microsoft will never proactively reach out to you to provide unsolicited PC or technical support. • Don’t call numbers from pop-up messages. • Never allow remote access to your computer. • Always be wary of unsolicited calls. If you’re unsure of a caller’s identity, hang up. • Microsoft or someone on their behalf will never call you. • Get your computer checked for any additional programmes or software that may have been installed. Seven organisations from within the public and voluntary sector in the Epping Forest district have received specialist training from Essex Police Hate Crime Officers to open as a Hate Incident Reporting Centres. police and other partner agencies to provide support and advice on hate crime and join 9 other HIRCs who have been launched in Harlow. Zinc Arts, OngarHate Crime Ambassadors are members of the local community who raise awareness of hate crime and promote the reporting of hate crime. Nearly 200 ambassadors will receive training from Essex Police to equip them with the knowledge and information to recognise a hate incident or hate crime, take an effective report and provide advice and support. A man’s ear was torn and his friend was punched when they were attacked during a night out. The pair were standing near Sweatshop on the corner of High Street and St Nicolas Street in Colchester, at 2.30am on Sunday, April 30 when a man ran across the street. He approached the first victim, a 24-year-old man, and they were involved in a struggle, during which the victim’s ear was bitten. His 22-year-old friend attempted to intervene and the suspect punched him in the face, causing bruising to an eye. Investigating officer Dc Lucy Percival said: “This was a very nasty unprovoked incident and one of the victims will need reconstructive surgery for the injury to his ear. “This happened at a time when there were still a number of people out in the town centre and I am appealing for witnesses who saw what happened. He is described as white, aged in 20s, thin and about 5ft 10ins tall. He had black hair that was short at the sides, was clean shaven and wore light denim jeans, a black top and trainers. Anyone with information or mobile phone footage is asked to contact Dc Percival at Colchester CID on 101. * Health and Wellbeing.There is information available on the Maldon District Council Website at – Maldon District Council . • May offer to carry out work cheaply but then charge an extortionate price after it has been completed. Report any crimes or suspicious persons/behaviour/incidents to the police on 101 or dial 999 in an emergency. Following DVSA clarification used car buyers are urged to check MOT details online – the paper certificate is too susceptible to forgery. Following a clarification by the Driver and Vehicle Standards Agency (DVSA), we are urging used car buyers to check MOT details online, rather than relying on the paper certificate. We have been informed that some dubious cold calling Tree surgeons/Landscape Gardeners have entered our area having been suspected of committing offences in a neighbouring area “Your Doorstep Your Choice”, we would advise you to think twice about engaging cold calling traders. If you need a trader for a particular job and do not have a trader by personal recommendation contact Trading Standards “Buy with Confidence Scheme” on 0345 404 0506. Hello everyone,I am the new Detective Inspector at Colchester CID, first day, first message. I will be messaging on a regular basis about serious crime in your area, also crime prevention advice and early warnings if we are suffering from a spate of a certain type of crime. I might also be asking for information and there will be things you elite bunch on ECM can assist with, so keep your eyes and ears peeled. I also have a Twitter account which I will be using to ‘Tweet’ information. Many thanks for signing up to this system, I hope together we will prevent and detect crime in Colchester. It’s your community have your say! Essex Youth Offending Service would like YOU to suggest community projects for young people in your area to get involved with! helping set up for events, marshalling, and much more! We are particularly interested in projects in the Tendering area, including Clacton/Jaywick/Frinton/Walton/Harwich and surrounding areas. Please email Karen.sinclair@essex.gov.uk with your ideas/for further information or call Karen Sinclair on 03330 139747. Castle Point and Rochford CPT have now got their own Facebook and Twitter pages. Please like and share so our messages and updates can reach as many people as possible. Thank you. Police are appealing for witnesses following an attempted armed robbery in Clacton. Officers were called to reports two security guards were approached by two men outside the Tesco store in the Brook Retail Park, London Road, just before 11.40am today, Wednesday January 18. One of the suspects, who had what appeared to be a firearm, threatened the victims and demanded they open the cash machines. Two shots were fired but no-one was injured and the suspects left empty-handed in a grey or silver car, which may have had a third person inside. There is not believed to be any threat posed to any members of the wider community and we ask witnesses or anyone with information to contact Essex Police on 101. People can also give information independent crime-fighting charity Crimestoppers anonymously on 0800 555111 or www.crimestoppers-uk.org. No personal details are taken, information cannot be traced or recorded and you will not have to attend court. Do you know somebody in your community who goes the extra mile to support vulnerable people, prevent crime and make their communities safer? Then why not nominate them for the Police and Crime Commissioner’s ‘Outstanding Contribution to Community Safety Award?The process is simple to complete, and winners will be recognised at the PCC Annual Conference on 14th March 2017. The winning area of work or project will also receive £500, with those highly commended receiving £250 each to be reinvested into the areas they are recognised for. The deadline for nominations is Monday February 20th so make sure your local heroes are recognised in the way they deserve! This year the Safer Colchester Partnership is conducting a survey to ask local residents for their views on crime and anti-social behaviour in the Borough. We will use the results from the survey in the Strategic Assessment of Crime to assist us in informing future priorities and objectives for the Partnership.
. The survey can be found at www.safercolchester.co.uk , visitors will find a section on the homepage to access the survey. A drug dealer who was arrested twice in less than three weeks has been jailed for more than three years. Two police community support officers were on patrol in Old Road, Clacton, at about 3.15pm on July 12, 2016 when they saw a group of people gathered around Shelton Alexander, who appeared to be dealing them drugs. He ran off after catching sight of the PCSOs , but he was found a short time later in an alleyway behind a parade of shops. He had a small amount of cannabis in his pocket but when police carried out a search of the area, they found 26 wraps had been discarded. Alexander, 23, was released on bail while tests were carried out, but was caught in the act again at 2.20pm on July 29 by Operation Raptor officers on patrol in Clacton. They stopped a Ford Focus in Thoroughgood Road after seeing the occupants, which included Alexander, acting suspiciously. He ran off but was pursued and arrested. A search was then carried out at a nearby address and officers found £1,700 in cash and a quantity of cannabis. Investigations were carried out and the wraps discarded during the first incident were found to contain crack cocaine and heroin. Alexander, unemployed, of Nelson Walk, Tower Hamlets, was charged with possession with intent to supply crack cocaine, possession with intent to supply heroin, two counts of possession of cannabis and one count of possession of criminal property, which related to the money seized. He admitted all the counts at court hearings on December 5 and January 3. He was sentenced at Chelmsford Crown Court on Friday January 13 to three years for each of the possession with intent to supply crack cocaine and heroin charges, to run concurrently; three months for possession of criminal property to run consecutively; and one month each for the possession of cannabis charges, to run concurrently. The judge also ordered for the drugs to be destroyed and the £1,700 to be seized. District commander Chief Inspector Russ Cole said: “Alexander had travelled from Luton to ply his disgusting trade in Clacton and tried to evade arrest twice. “However he has now started the new year behind bars, as a result of the combined efforts of officers responsible for policing Clacton. Essex Youth Offending Service are actively seeking volunteers from the community to help them in their work of preventing re-offending by young people aged between 10 and 17 years. to address the young person’s offending behaviour. The contract is designed to prevent young people from re-offending, but also looks to try to repair the harm caused which can benefit both the victim and the community. • You would receive full training and support. • You would be able to fit this role around your existing commitments. • You would be welcomed in to a friendly and supportive team who care about the community in which they live. A scheme which will allow victims of crime and anti-social behaviour (such as neighbour disputes) the chance to communicate with the perpetrators has been launched. We are searching for people to volunteer their time and skills, people who have the ability to learn skills that would allow them to assist us.The Essex Restorative Justice and Mediation Service facilitates safe communication between those involved in a crime or conflict and allow victims to ask questions and receive meaningful reparation for the harm that has been caused. During the meeting, the headteacher of the school asked if the boy was angry with her or the school. this was something she had been worried about, and didn’t know what she might have done to have caused it. with further thoughtless acts. she said he was welcome back to the school for events in the future. we recieved very good feedback from all involved, with everyone saying they were very glad they had taken part. Vans have been entered and tools have been removed, if you own or know a neighbour, friend or workmate who owns a van make them aware. Think about security. If you have tools on board think about removing them overnight if possible. Also make a point of property marking your equipment both overtly and covertly. • DON’T tempt thieves by leaving any items on display. • DO CLEAN THE SAT NAV RING off the windscreen. • DO TURN BLUETOOTH OFF anything left in the car – it can be detected when on. • DO lock your vehicle at all times, close windows, and set the alarm, even when parked on your driveway or when carrying out any work. • DO PARK REAR DOORS ON VANS up against garage doors or other to prevent access where possible. • DO NOT just press the button on your fob to lock it – Look at your car to see the lights flash etc to confirm locking; someone may be nearby with a “remote blocker” and stop your car from locking. • DO try to park in a secure, well lit area were possible, if parking at a hotel try and park within view of reception, CCTV cameras or your room. • Do mark tools and property visibly with your post code and house number, and consider products such as CRE Mark, Selecta DNA and Smart Water. • Do register serial numbers of your property on www.immobilise.com this is completely free service. Please visit the website for more information. • Do consider having additional security door locks fitted, they make it harder for the thief and are a great visual deterrent. • Do consider having a safe box secured within the vehicle and keep it locked. • Do consider a PIR alarm that calls you on the mobile phone when activated, intended for sheds work just as well in a van. Empty your car before someone else does. There has some males in the marktey area of Colchester .They have been seen early hours of the mornings getting out of a white vehicle and walking around then getting back into the van and driving away .This could be linked to burglary’s in the area. Please can you make sure that when you leave your home for any length of time that any thing of value is in a secure location in your home .If you see anyone acting suspicious in and around houses garages sheds.Please call Essex police on 101 if this is an emergency please dial 999. A house that is left insecure is an attractive target for thieves. Burglars can strike at any time but most burglaries can be prevented by securing your home. Most burglars are opportunists and in 3 out of 10 burglaries, access is gained through an open door or window. Burglars love it when you make their job easier for them. There are simple steps you can take to beat the burglar. Your smartphone, mobile devices, bike and home entertainment system may mean a lot to you but to a thief they’re just a way of making quick and easy cash. If any of your belongings are stolen, you can increase the chance of being reunited with them by registering with Immobilise. Immobilise helps us identify the owners of recovered property every day. It’s completely free and allows you to create a private and secure inventory all your personal property. All you need to do is register on the Immobilise website and list possessions identifiable by a unique reference number like IMEI, serial number, bicycle frame number etc. Parents may now be looking to buy their children a four-wheeled vehicle known as an Aixam Quadricycle, which, technically, falls under the category of a moped. The public are told children from the age of 16 can legally drive this vehicle but they may not have the correct information of what the requirements are to do so. •the driver cannot carry any passengers even though the vehicle has two seats. This means the driver cannot be supervised, as this would mean them carrying a passenger. This type of vehicle has two seats, so it may be tempting for teenagers to breach the requirements regarding the carrying of passengers. Active Citizens: coming to a place near you – do you know someone who could volunteer? Throughout the UK, there are numerous examples where members of the public are volunteering in roles to support local policing activity. Essex Police is excited to be creating our own Active Citizens programme, expanding our existing volunteer framework to enable even more members of the public to become involved in supporting their local community through volunteering with the police. The Essex Police Active Citizen programme is a great opportunity for people to add to their CV or for those who want to give something back to their community. Please complete and return the Active Citizen application form to active.citizen@essex.pnn.police.uk. If you or anyone who may be interested in joining their local Active Citizen team require more details please email active.citizen@essex.pnn.police.uk. OP Lynx – Violent Crime reduction Operation, targeting drug dealers and recreational users in Colchester Town centre, builds on academic study that links the use of cocaine and alcohol with increases in violence within the so called Night Time Economy. Officers using new tactics have been deployed tonight 03/12/2016 for just an hour and a half and have already arrested four persons. Essex Police priority:- Tackling violence or the route causes of violence in order to keep Essex Safe. Essex police Drink / Drug driving safety campaign Essex police will be increasing enforcement on suspected drink and drug drivers over the Christmas period. Please make Christmas a safe and happy time for all. Don’t drive under the influence of drugs or drink. I have been asked to circulate the attached link to members outlining details of a bank scam that has been circulating which may be worth knowing about to prevent yourself becoming a victim of such frauds. Christmas Party Transport advice: The ideal plan is to book your cab or taxi in advance or call a licensed cab company from the party and arrange for them to pick you up right outside the venue. Never accept a lift from a minicab touting for trade on the street. They are illegal and can be very dangerous. Always sit in the back of a cab/taxi and if you get chatting to the driver, do not give away personal details. If you feel uneasy with the driver, ask him to stop at a busy familiar place and get out. If using public transport, have your ticket, pass or change ready in your hand so that your wallet or purse is out of sight. Always wait for the bus or train in a well-lit place near other people if possible and try and arrange for someone to meet you at the bus stop or station. Take note of where the emergency alarms are and try to sit near them. If a bus is empty or it is after dark, you may feel safer on the lower deck as near as possible to the driver. On trains, avoid empty compartments or compartments that have no access to corridors or other parts of the train. If you feel threatened on any public transport press the alarm and/or make as much noise as possible to attract attention of your fellow passengers or the driver or guard. Christmas is a time to relax and have fun but it can also be very busy and stressful. You may be out and about more than usual for that essential Christmas shopping and to festive parties and other social events. To reduce the risk of experiencing crime during the festive season here are some helpful tips: Christmas Shopping Don’t get loaded down with too many bags. Try to keep one hand free. Try and avoid taking young children into busy shopping areas. If it is unavoidable make sure they know what to do if they lose you, e.g. tell the nearest counter assistant that they are lost and NEVER leave a shop without you. Agree a meeting point with older children in case you get separated. Be careful where you park your car, especially if you will be returning to it after dark. If parking in a multi-storey car park, choose a well-lit space as close to the exit as possible and away from pillars. Reverse into position. Keep car doors locked whilst driving in built-up areas, especially if you’ve got bags of presents in the car. Don’t leave presents on show in a parked car, as they could tempt thieves. Keep alert and aware of your surroundings, especially in busy shops and crowded streets where thieves and pickpockets may well be operating. Keep a close watch on your valuables and try not to keep them all in one place. Personal safety Essex is a safe county and the chances of you, a friend or a member of your family becoming a victim of violent crime are low. However there are a number of steps you can take to keep yourself safe. Planning your journeys, staying alert and avoiding poorly lit alleyways and car parks are just a few. Suzy Lamplugh Trust is a charity devoted to providing practical support and personal safety guidance. Visit the trust’s website for detailed advice and take a look at our tips below. Plan ahead Before you go out, from heading out with friends or even making your journey into work, think about how you are going to get home. Avoid travelling alone and set aside some money in advance. Can you travel home with a friend? What time does the last bus or train leave? Think about what you need to take with you. If you must take valuables with you try not to keep them all in one place. Instead place valuables such as wallets in an inside pocket. Think about carrying a personal safety alarm. We all have the right to wear what we want but it’s worth remembering that you can help to reduce the risks by wearing clothes you can move in easily. Stay alert Be extra careful when using cashpoints. Make sure nobody is hovering nearby and don’t count your money in the street. Keep your mind on your surroundings – if you’re chatting on your mobile phone or listening to your iPod you won’t hear trouble approaching. Trust your instincts if you think you are being followed. As confidently as you can, cross the road, turning to see who is behind you and head for a busy area where you can tell people what’s happening. If necessary, call the police. Public Transport Obtain timetable and fare information before travelling to prevent you waiting around for long periods at bus stops or stations. When waiting for public transport after dark, try to wait in well-lit areas and near emergency alarms and CCTV cameras. Walking alone and street safety It takes three things for a violent or aggressive situation to happen – a victim, a perpetrator and an opportunity. By taking some suitable safety precautions such as those listed above, you can reduce the opportunities and therefore the risk of becoming a victim. Avoid danger spots like quiet or badly lit alleyways, subways or isolated car parks. Try to use well lit, busy streets and use the route you know best. Whenever possible, walk facing oncoming traffic to avoid kerb crawlers. If you are at all worried, try and stay near a group of people. Avoid passing stationary cars with their engines running and people sitting in them. Beware of someone who warns you of the danger of walking alone and then offers to accompany you. This is a ploy some attackers have been known to use. Without wishing to alarm you, please be aware of recent incidents that have occurred in Wivenhoe. A secured shed was broken into in the early hours of Tuesday morning and a bike was stolen. Around the same time, items were taken from a nearby parked car and a further bike theft the same night. In total, 7 vehicles this week have had items stolen from them or some form of attempt to do so. Please take sensible steps – secure your property and vehicles, remove valuables from view or completely from your vehicle, ensure any security lights, CCTV, alarms or other devices are working and switched on and report anything suspicious to the Essex Police on 101. For further Crime Prevention advice see Essex Police Website. Black Friday typically sees more attempted online shopping scams than any other day of the festive shopping period. You can take a few simple steps to reduce the chances of falling victim to scams and fraudsters. Sales of counterfeit clothes and electrical items online have increased in recent years. At the top of the screen where the Web site address is displayed, you should see https://. The “s” indicates the Web site is secure. In many cases, you do not see the “s” until you actually move to the application page on a Web site. Another way to determine if a Web site is secure is to look for a closed padlock, usually displayed at the bottom right hand corner of your screen. Double-click the padlock to see the security certificate for the website. If the lock is open, you should assume it is not a secure site. Be aware that websites sometimes use a domain name that falsely suggests they are UK-based. The Environment Agency has issued a 24/7 Hotline to try and gain intelligence to combat the illegal dumping of rubbish also known as flytipping. If you witness or find fly-tipping or have any information about it you can now report it to the Environment Agency 0800 807060. Reports should include as many details about the incident and type/amount of waste as possible. Some key points about if you witness such activity: * Witnesses are vitally important in enabling action to be taken against people who fly-tip waste, so please do not hesitate to report any incident that you witness as soon as possible. * Do not put yourself in danger by approaching anyone you see dumping waste; they are criminals, who may be involved in other criminal activities, and as such are unlikely to respond well to being challenged. If it is possible to observe them safely, the more information you are able to provide, the better the chances of an investigation. Information that is useful includes the following: 1. Time and date of incident; 2. Description of person(s) dumping waste; 3. Description of vehicle(s) involved, including registration numbers; 4. Description of the waste dumped; 5. Photographs can also be very useful, but only if it is possible to obtain them safely. Please be reassured that any information supplied in connection to any such incident is treated in strictest confidence. If you make notes please keep them, even if they are scribbled notes on the back of an envelope. Actual notes taken at the time can be very valuable as evidence. Do not try to rummage through the waste yourself to look for evidence, as there may be hazardous or sharp items hidden among the waste. It’s getting to that time of year again when families and friends are thinking about Christmas. On the same note so are the burglars. Please make sure that when you leave you home that all you doors and windows are lock and that all you valuables are out of sight and locked up in a safe place. Also please keep an eye open for those elderly neighbours that may struggle at this time of year. Hundreds of pounds of First World War memorabilia stolen from Bacup Museum in Lancashire see below web link:www.lancashiretelegraph.co.uk/news/14824464.Hundreds_of_pounds_worth_of_First_World_War_memorabilia_stolen_from_museum/ Ensure that any collections are secure and that you have a comprehensive inventory of any exhibits including photographs- remember the “Object ID” card as a reference in photographs. Suspected stolen property for sale contact your local Police on 101. Advice if you don’t wish to be involved in Halloween If you don’t want trick or treater callers, turn off any lights at the front door. If possible do not open the door, but to look out of the window to check. If you do open your door, take precautions such as using your door viewer and putting your door-chain on if you’re not sure who is outside. Consider asking a neighbour if you can spend the evening with them if you feel very worried. Keep the telephone number of a relative or friend to hand in case you need to phone them. If you notice any suspicious activity during Halloween, call 101 to speak to your local Community Policing team. There will be extra police patrols over the Halloween period, which will target people who cause criminal damage or behave in an anti-social manner. In an emergency, when a crime is being committed or if there is a risk of injury or serious damage to property, dial 999. Essex Police, the Office of the Police and Crime Commissioner (OPCC) for Essex and Chelmsford City Council are in talks to progress the future sale of the headquarters site in Springfield, Chelmsford. Last October Essex Police and the Police and Crime Commissioner announced plans to reduce the estate down from 80 to approximately 30 buildings and to sell the current HQ site. To progress the sale of HQ, Essex Police and the OPCC have had preliminary talks with planners at Chelmsford City Council with a view to seeking outline planning permission for residential use of the Springfield site. Gaining planning permission will allow the site to be sold for the best possible price. This money can then be used to fight and prevent crime more effectively and to create a new headquarters which is fit for the needs of a modern police force and for the future. Essex Police is exploring the option of sharing accommodation with Essex County Fire & Rescue Service (ECFRS) at their headquarters site in Kelvedon and are currently undertaking a feasibility study to this effect. If this option were to be viable the force would propose to use the site as its headquarters, housing Chief Officers and some other teams. We are also currently exploring a number of sites to house a new operational policing and investigations centre. This would house specialist teams and replace our existing site at Boreham. Essex Police hope to have a preferred site for our headquarters and a new operational policing centre identified by Winter. Police are urging people to be vigilant following a spate of burglaries, many at homes with unlocked doors or windows. Detectives are investigating more than 20 incidents that have taken place since August 1 in Jaywick, Clacton, St Osyth, Dovercourt, Harwich, Lawford and Thorpe-le-Soken. In most cases, doors or windows were not securely locked. In five cases, the victims were outside in the garden or driveway at the time. Detective Constable Andy Dodd, of Clacton CID, said: “The items stolen have included handbags, purses and jewellery, and in some cases the thieves have then used their victims’ bank cards to withdraw money from cash machines. “Our enquiries so far suggest there are a number of suspects involved and we are not currently linking all the incidents. “We are continuing our investigations and have already charged one person in relation to one of the offences. Anyone with information about any of the burglaries is asked to call Clacton CID on 101. Should more local, visible, accessible policing be a priority in the new Police and Crime Plan for Essex? Roger Hirst, the Police and Crime Commissioner for Essex, wants to hear your views on the priorities for policing, crime prevention and community safety in our county. The seven proposed priorities are: 1. More local, visible and accessible policing. 2. Crack down on anti-social behaviour. 3. Be tough on domestic abuse. 4. Reverse the trend in serious violence. 5. Tackle gangs and organised crime. 6. Protect children and vulnerable people from harm. 7. Improve safety on our roads. There are also a series of proposed commitments linked to each of these priorities. Do you agree these are the correct priorities for Essex? You can have your say by reading the draft Police and Crime Plan and taking an online survey here:http://www.essex.pcc.police.uk/police-and-crime-plan-2016-engagement-and-online-survey/ Sending an email:policeandcrimeplan2016@essex.pnn.police.uk Or writing to: Police and Crime Commissioner for Essex 3 Hoffmanns Way Chelmsford Essex CM1 1GU The engagement process for the new Police and Crime Plan will end on October 7, 2016. An updated Police and Crime Plan will be taken to the Police and Crime Panel for their final comments at the end of October. It is anticipated that the new Police and Crime Plan for Essex will come into effect in early November 2016. OUTBUILDING, SHED & BARN SECURITY – At rural locations, farming, heritage venues and residential properties there are thefts being committed where tools, pressure washers and other property are being stolen from barns, sheds, garages and outbuildings. The attached document gives some crime prevention advice to help protect these buildings. County wide circulation following incidents in the rural Maldon district. Article from Stephen Armson-Smith Tel: 101 – ext 407110. Tracker devices that are available on the market can keep your Mobile Home secure. Hide the keys when the vehicle is parked on the driveway so any intruders cannot easily find the keys. Think about valuables inside your Mobile home and security marking valuables. POLICE, investigating an assault where a woman was grabbed by three men, are appealing for any witnesses to come forward. The victim, a 19-year-old woman, was walking along Avon Way in Colchester, near to Alefounder Walk, between 8.30pm and 9pm on Saturday July 30 when the incident happened. The woman was approached by three men, one of whom was wearing a balaclava. They asked the victim if she had any money and as she tried to walk way one of the suspects grabbed her by the head, held her and made sexually suggestive remarks. The victim managed to flee but fell as she made her escape. The suspect wearing the balaclava is described as white with blue eyes, possibly a pierced right eyebrow and was around 6ft tall. He wore a grey tracksuit hoodie top with a black logo on the front, white boxer shorts, grey tracksuit bottoms and white reebok trainers. The second suspect was white, aged in his late 20s, of “fat” build, around 6ft tall, with brown short hair and a piercing to his right ear with a “stretcher” earring designed to enlargen the hole. He had writing tattooed on his right middle finger and wore a grey hoodie, black jogging bottoms and yellow Timberland boots. The third man is described as being of mixed race, around 6ft tall, aged in his late 20s, of skinny build, with brown hair gelled forward. He wore a grey Lonsdale tracksuit with a plain white t-shirt underneath. Witnesses to the incident or anyone who recognises the men from the description can contact Essex Police on 101 or Crimestoppers anonymously on 0800 555 111. Detectives investigating a firearms incident where two men received gunshot wounds on Canvey are appealing to the local community for information. Police were called to Somnes Avenue at around 3.30am on Saturday 6 August Five men in total were arrested in connection with the incident but were yesterday, Thursday August 11, released from custody without charge. Chief Insp Glen Westley, the Castle Point District Commander said: “We continue to investigate this serious incident and urgently need information from members of the public. “The victims are refusing to provide statements and as such, we need witnesses to come forward to help us find those responsible. “Someone must know something. Did you see any vehicles driving erratically in the area at the time, in particular a Ford S Max, a Mercedes and a silver VW Golf? “We want people to know that no matter how insignificant their information may seem, it could make a big difference to the investigation. “Our enquiries are ongoing and a team of dedicated specialist officers continue to investigate this serious crime.” Witnesses or anyone with information are asked to call officers at Southend CID on 101. Alternatively, they can contact Crimestoppers anonymously on 0800 555111 or www.crimestoppers-uk.org. Beware of bogus gas fitters who may put your life at risk. Please see the attached PDF Newsletter should you have difficulty accessing the link in the previous message. Essex Police are recruiting. In Essex Police we value difference and promote inclusion. We make the right decisions no matter how tough they are. Please Click here for more information. You can also report any concerns or incidents of poor / ASB driving or riding directly to the Casualty Reduction Unit (CRU):Driving.complaints@essex.pnn.police.uk. You can also send photos and video footage to this email address. CRU and your local Community Team will deal robustly with offenders. Volunteering for Victim Support in Essex Victim Support is looking for reliable volunteers with great listening skills, who have 4-8 hours to spare a week. We will train you to offer practical and emotional support to people affected by crime. Apply now to be on our next four day fully accredited training course this autumn and you could soon be learning new skills whilst making a positive difference to people’s lives. To find out more please visit, www.victimsupport.org.uk or call the Essex Service Delivery team on 01277 357557 or emailessexvolunteering@victimsupport.org.uk Victim Support is an independent charity. Our services are free and available to everyone, whether or not the crime has been reported and regardless of when it happened. If you have been affected by crime, call us on 0300 30 30 165. Doorstep Scams Most people who call at your home will have a genuine reason for doing so but by taking a few simple precautions you can protect yourself and your home. Follow our advice to stay safe: • Don’t be frightened to ask for identification and always check it carefully. If you’re not sure, ask them to come back another day. • Think about installing a door chain and use it. Keep the door on the chain until you’ve seen identification. • If you need your glasses to read the identification, close the door before going to find them. Don’t leave the door open and unattended. • Remember to lock the back door before opening the front. • Don’t be pressured into letting someone into your home if you have suspicions. • Don’t keep large amounts of cash in the house. • Don’t believe scare stories. Not all callers are genuine. Rogue Traders Rogue traders are people who call at your door pretending to be qualified tradespeople and offering to do work on your home. They may seem friendly and persuasive but too often they target vulnerable elderly people and carry out poor quality household repairs to roofs and driveways They may claim to know your neighbours and have done work for them but often the work they promise to complete didn’t need doing in the first place. We’re working with Essex County Council and Age UK Essex as part of a campaign to warn residents to ‘Be Sure at the Door’. You decide whether you need any work done to our house, not them. If you think you’ve been taken in by a rogue trader, please let us know by calling 101, contact Trading Standards on 08454 040 506 or talk to a friend or relative. Essex Police are recruiting. In Essex Police we recognise the importance of supporting your needs.Can you deliver a service your family would be proud of? Please visit www.essex.police.uk/ourforce for more information. “I hadn’t bought a ticket… So how could I win a lottery?” The aim of any Scammer is to part you and your money. Everyone should be on their guard as scammers are now using more sophisticated methods in their attempts to convince people that what they are offering is legitimate or official. • Don’t be rushed – resist pressure to make a decision straight away. • If it sounds too good to be true it probably is. • The letter has arrived unexpectedly. • You’ve never heard of the lottery or competition they are talking about and didn’t buy a ticket. • They are asking you to send money in advance. • You shouldn’t have to pay anything to get a prize. • You’re being urged to respond quickly so you don’t get time to think about it or talk to family and friends. • They are telling you to keep it a secret. Stop scam mail The Mailing Preference Service (MPS) allows you to have your name and address removed from mailing lists. To register for the free service, call 0845 703 4599 or visit mpsonline.org.uk. Report to Royal Mail If you do receive correspondence you believe to be from fraudsters, you can forward it to Royal Mail with a covering letter to Freepost, Scam Mail, PO Box 797, Exeter, EX1 9UN. You can also email scam.mail@royalmail.com or call 03456 113 413. Need to report something to the Police that is not an emergency? You can report Non-Emergency Crimes, Road Traffic Collisions, Hate Crimes and more online as well as get advice on whether this is an issue that Police deal with, or a local authority. Click here, whether on a desktop computer, laptop, tablet or mobile phone to visit the ‘Do It Online’ section of our website. If you need to report something where there is immediate threat to life or property then as always dial 999. Essex Police recruitment open today. Essex Police – valuing difference and embracing equality in the workplace. A career in policing is both challenging and rewarding. Please visit www.essex.police.uk/ourforce for more information. Note – I have resent this message on email as I have been advised that some people have had problems with the link which has now been resolved. To update your profile including unsubscription, click here and sign into your ECM profile to change your preferences. Help disrupt fraudsters by reporting scam emails that you receive. People receiving scam emails are urged to report them. The reports received by Action Fraud will be forwarded to the National Fraud Intelligence Bureau run by the City of London Police for collation and analysis. This will enable crucial intelligence to be gathered and preventative action to be taken. The activity will seek to disrupt the fraudsters and close down the links between them and the victim. Last year (January 2015 – December 2015) they received on average 8,000 reports per month, with 96,699 people reporting that they had received a phishing scam. What should you do if you’ve received a scam email? Evening, Police are warning residents in the Colchester area of a recent spate of thefts of large garden ornaments. Anyone who may have seen or heard anything is asked to contact Essex Police via 101 and asking to speak to the Crime Bureau. As always, please be vigilant and report any suspicious activity to Police and ensure that you lock and secure all entry points to your properties. Police are warning residents to be vigilant following the theft of a number of large garden ornaments in the Colchester area between June 13 and July 4. Several would have been heavy and required at least two people to move them. A concrete lion was stolen from outside the front of a home in High Street, Rowhedge, between 10pm on June 15 and 5.30am on June 16. One of its feet had been broken off and was left behind. A white birdbath in the shape of a statue of St Francis holding a basket was stolen from a front garden in Church Street, Rowhedge, sometime between midnight on June 20 and 2.30pm on June 23. The statue is about 3ft high and also features carved animals at the base. A 4ft high stone birdbath depicting an angel holding a bowl above her head was stolen from Cornflower Close, Stanway, between 10pm on July 2 and 10.30am on Juyly 3. A 4ft high chimney pot containing geraniums was stolen from outside a front door off Peace Road, Stanway, between 9pm on July 4 and 9amon July 5. Three large multi-coloured flower pots were stolen from a front garden in Hooper Avenue, Berechurch, between 7.15am and 8.30am on June 13. Fairy ornaments were stolen from a garden in Maple Way, Berechurch, between 2am and 7am on June 25. Anyone with information is asked to call 101. Ensure that your key safe is robust and well made- There are some cheaper key safes that are easier to force open. Make sure that if you have one that its good quality and made of robust material. Make sure that it’s securely fixed to the wall and not loose in any way to enable it to be easily removal. That you key safe is not easily on display from the roadside – tuck it out of the way and out of general view of the roadside so it’s not too obvious. Do you have a question for the Chief Constable or Police and Crime Commissioner about gang crime, street violence, Anti-Social Behaviour or police visibility? You can ask your question in person in Southend on July 7 or by email in advance. The event will be the first Challenge hosted by new PCC Roger Hirst and will see him publically exercising his duty to hold the Chief Constable of Essex Police to account. The PCC and the audience will question Chief Constable Stephen Kavanagh about the force’s performance as well as focusing on anti-social behaviour, local policing and the visibility of officers in the community and gang-related crime and street violence. The event is taking place in Southend and residents from town as well as the wider Essex community are invited to come along and make the most of the unique opportunity to put their questions to the PCC and Chief Constable. The two-hour meeting takes place on Thursday July 7 from 7.30pm to 9.30m at The Forum in Elmer Square, Southend, SS1 1NS. People can ask their questions on the night or alternatively submit them in advance by emailing EssexPoliceChallenge@essex.pnn.police.ukor writing to the Office of the Police and Crime Commissioner at 3 Hoffmanns Way, Chelmsford, Essex, CM1 1GU. The PCC will ensure as many questions as possible are answered at the event. Apologies for our last ECM which neglected to include venue details. Please see revised message below: THE new Police and Crime Commissioner for Essex will be holding the Chief Constable publicly to account as he hosts his first Essex Police Challenge event. The event, taking place on Thursday July 7, will see Mr Hirst questioning Chief Constable Stephen Kavanagh publically about the force’s performance as well as other key issues affecting the community. Members of the public will also be able to put their questions to both the PCC and Chief Constable about their crime and community safety-related concerns. The two hour meeting, which takes place at The Forum in Elmer Square, Southend, will concentrate on the following areas: anti-social behaviour and local policing including police visilbility in the community; and gang crime and combating street violence. Full details of the Essex Police Challenge event are: Date: Thursday July 7 Time: 7.30pm to 9.30pm Venue: The Forum, Elmer Square, Southend SS1 1NS People can ask their questions on the night or alternatively submit them in advance by emailingEssexPoliceChallenge@essex.pnn.police.uk or writing to the Office of the Police and Crime Commissioner at 3 Hoffmanns Way, Chelmsford, Essex , CM1 1GU. The PCC will ensure as many questions as possible are answered at the event. THE new Police and Crime Commissioner for Essex will publically be holding the Chief Constable to account as he hosts his first Essex Police Challenge event. The event, taking place on Thursday July 7, will see Mr Hirst questioning Chief Constable Stephen Kavanagh publically about the force’s performance. Members of the public will also be able to put their questions to both the PCC and Chief Constable about their crime and community safety-related concerns. The meeting will concentrate on the following areas: anti-social behaviour and local policing including police visilbility in the community; and gang crime and combating street violence. People can ask their questions on the night or alternatively submit them in advance by emailing EssexPoliceChallenge@ essex .pnn. police .uk or writing to the Office of the Police and Crime Commissioner at 3 Hoffmanns Way, Chelmsford, Essex , CM1 1GU. The PCC will ensure as many questions as possible are answered at the event. What question will you ask your Police and Crime Commissioner or Chief Constable? Essex residents who want to quiz Roger Hirst, the new PCC for Essex, or Chief Constable Stephen Kavanagh, will have their opportunity to put their questions in a live webchat on the evening ofMonday June 27, from 5pm to 7pm. You can see more details here: http://www.essex.pcc.police.uk/news/live-web-chat-pcc-chief-constable/As the new Police and Crime Plan for Essex is developed over the summer, the PCC has recently published details of some of the key issues for local communities, which were reflected in the manifesto on which he was elected as PCC. These include: – addressing Anti-Social Behaviour before it develops into more serious criminal activity – ensuring Essex Police is more local, visible and accessible – continuing to focus on tackling domestic abuse – tackling serious violent and sexual crime – disrupting gangs and organised crime and preventing the exploitation of vulnerable people – supporting victims of crime and safeguarding vulnerable people – changing and improving driver behaviour given that Road Traffic Collisions kill more people in Essex than all other forms of violent crime put together More details can be seen here:http://www.essex.pcc.police.uk/news/community-safety-defining-priorities/ All of these subjects and more will be up for debate as the PCC and Chief Constable go online to talk with you and answer your questions. The live webchat will be taking place on Monday June 27 from 5pm to 7pm and people can join in by logging on to http://essex.police.uk/talkbacklive People can email their questions in advance toask.us.live@essex.pnn.police.uk Post them on the Essex Police Facebook page https://www.facebook.com/EssexPoliceUK Or submit them on the night via the above weblink. What question will you ask your Police and Crime Commissioner or Chief Constable? Essex residents who want to quiz Roger Hirst, the new PCC for Essex, or Chief Constable Stephen Kavanagh, will have their opportunity to put their questions in a live webchat on the evening of Monday June 27, from 5pm to 7pm. You can see more details here:http://www.essex.pcc.police.uk/news/live-web-chat-pcc-chief-constable/ As the new Police and Crime Plan for Essex is developed over the summer, the PCC has recently published details of some of the key issues for local communities, which were reflected in the manifesto on which he was elected as PCC. These include: – addressing Anti-Social Behaviour before it develops into more serious criminal activity – ensuring Essex Police is more local, visible and accessible – continuing to focus on tackling domestic abuse – tackling serious violent and sexual crime – disrupting gangs and organised crime and preventing the exploitation of vulnerable people – supporting victims of crime and safeguarding vulnerable people – changing and improving driver behaviour given that Road Traffic Collisions kill more people in Essex than all other forms of violent crime put together More details can be seen here: http://www.essex.pcc.police.uk/news/community-safety-defining-priorities/ All of these subjects and more will be up for debate as the PCC and Chief Constable go online to talk with you and answer your questions. The live webchat will be taking place on Monday June 27from 5pm to 7pm and people can join in by logging on to http://essex.police.uk/talkbacklive People can email their questions in advance to ask.us.live@essex.pnn.police.uk Post them on the Essex Police Facebook pagehttps://www.facebook.com/EssexPoliceUK Or submit them on the night via the above weblink. We are carrying out reassurance patrols in Wivenhoe following the murder in Denham Close yesterday. Two men have been arrested in relation to the murder and are helping us with our enquiries. The victim has provisionally been identified as Paul Olney, 35, who lives in Denham Close. Anybody who has any concerns following this incident can speak to our officers who are on patrol or contact us on 101. We would also like to hear from you if you have any information that may assist the murder investigation. Please call us if you know Paul Olney or witnessed any suspicious activity in Denham Close yesterday. You can call 101 or independent charity Crimestoppers anonymously on 0800 555 111. Doorstep or Rogue traders are operating now in the communities where we live and work. Are they knocking on your relative, neighbour or friends door today offering unnecessary work or have they started work already and are now asking for a lot more money than the bargain price they initially quoted. The victims of these doorstep/rogue traders normally are too embarrassed or concerned to report incidents so we are asking that if you have concerns you phone the Trading Standards helpline, run by Citizens Advice via 03454 040506. Essex County Council Trading Standards have produced an animation which we know will raise awareness of this issue and would ask you to share the link below with family, friends, neighbours and any organisation(s) that are willing to share the animation with their members or followers. Detectives are appealing for witnesses to a robbery in which a man was threatened with a knife. The 24-year-old victim was approached by two men in an alleyway near Walton Road and Portabello Road, Walton-on-the-Naze, at 10pm on Sunday June 5. They demanded he hand over his belongings and threatened him with a knife when he refused. There was an altercation but the victim was unhurt and the suspects ran off empty-handed. Officers carried out a search of the area and enquiries are ongoing to locate them. One of the suspects was described as white, aged in his early 20s, 5ft 9ins tall and slim. He wore a black coat with the hood up and grey tracksuit bottoms. The second was white, aged in his mid 20s, 5ft 9ins tall and slim. He had short light brown or fair hair and wore glasses with metal circular frames. He wore a grey tracksuit with a hooded top. Witnesses or anyone with information are asked to call Dc Richard English at Clacton CID on 101, or call Crimestoppers anonymously on 0800 555111. Detectives investigating the murder of Paul Olney in Wivenhoe on Monday, June 6, are appealing for witnesses regarding a taxi or private hire vehicle which was seen close to the murder location. A black vehicle, believed to be Fiat or Nissan style, was seen at the junction of Denham Close and Clairmont Road at around 3pm on June 6. It had four doors and appeared to have a white licence plate. A man got in to the vehicle and we also need to find him. He is described as white with a tanned complexion, 5ft 8ins tall, of average build, aged in his early to mid 20s. He had dark hair and black heavy stubble. This person or anyone with information is asked to contact the Brentwood major investigation team on 101 or Crimestoppers anonymously on 0800 555 111. Suspect Richard Waterhouse, 30, from Colchester, appeared at Chelmsford Crown Court this morning, Thursday June 9, charged with murder. He was remanded in court custody to appear at Chelmsford Crown Court on August 22. Identity Crime Your identity and personal information are valuable so it’s important to protect them. Criminals can use your personal details to open bank accounts and get credit cards, passports and driving licences in your name. This is known as identity crime. Identity theft and identity fraud are two types of identity crime. Identity theft is when someone gains enough information about an identity (e.g, name, date of birth, address) to commit identity fraud. It’s the misappropriation of the identify of another person without their knowledge or consent. Identity fraud occurs when a stolen identity is used to gain goods or services by deception e.g, open a bank account, gain benefits or apply for credit cards. Criminals commit identity theft by stealing personal information, usually from documents they find in the rubbish. A stolen identity can result in identity fraud which can affect your personal finances and chances of getting a loan, credit card or mortgage. Bank and credit cards: If any of your cards are lost or stolen, cancel them straight away and never give card details or personal information over the phone or on the internet when other people can see or hear. Don’t carry cards unnecessarily. If you don’t need them, leave them in a safe place. Documents: If your driving licence is lost or stolen, contact the issuing organisation straight away. Get in the habit of checking your bank statements. If you spot any transactions you didn’t expect, contact the company concerned. Destroy unwanted documents using a shredder. Don’t throw away bills, bank statements, receipts or unwanted post in your name without shredding it first. Keep personal information somewhere safe like a lockable drawer or cupboard. Passwords and PINs: Keep passwords safe and don’t store them anywhere that means they may be stolen such as your purse or on your mobile phone. Try not to use the same password for more than one account. Never give personal or account details to anyone who contacts you unexpectedly even if they claim to be from your bank or the police. Take a phone number and call them back to make sure they are genuine. Remember a bank will never ask for your PIN or your whole password. This message is intended for those living in rural communities of Essex. Farmhouses – Are often in isolated locations and can be vulnerable too if not properly secured. • Ensure that doors and windows are well maintained and in a good state of repair. • Fit mortice deadlocks to comply with the British Standards BS3621 to all external doors. • Make sure that doors are kept locked – even when you’re on the premises. • Fit locks to all ground floor windows. • Help your main property to look occupied by using timer switches to lamps in different rooms and set them to come on at staggered times. PS 71468 Julie Mackay – Local Policing Support Unit For any further advice on security please contact your local Crime Prevention Tactical Advisor. Machinery and Equipment Security This message is intended for those living in rural communities of Essex. Whenever possible, don’t leave vehicles in a visible place when not in use. When vehicles or plant equipment are kept outside they should always be locked and the keys removed and kept in your possession or stored in a securely locked key safe. Consider the use of hitch locks, wheel clamps, ground anchors and engine immobilisers. Keep an accurate record (including photographs) of all plant, machinery and tools which include make, model, serial number and any identifying marks. Overtly mark plant, machinery and tools. Consider fitting a tracking device or data tagging chip. Paint batteries with a bright coloured paint and post code/farm name. The following crime prevention message is aimed towards people living and working in rural locations. Check your boundaries – • Fencing hedges and walls should be robust, well maintained and checked regularly for breaches • Plant thick thorny hedges to act as natural boundaries. • Restrict vehicle access by digging deep ditches and creating bunds. • Identify weak spots that could provide access to criminals or vehicles and secure where necessary. Remove all private access points that are no longer used and establish a single gated entrance and exit, if possible. A new trend is targeting members of the public who are seeking to sell their wine investment. Fraudsters agree to purchase the victims wine, but instead transfer the stock into their own ac-count without paying the victim. The fraudulently obtained wine is then believed to be sold on to other, unsuspecting victims. How does this scam work? Fraudsters set up fake companies and websites as well as exploit the names of legitimate, es-tablished companies to facilitate this fraud. They cold-call the victims and offer to purchase their wine for significantly more than the actual market value. Fraudulent documents, such as purchase agreements, are used to facilitate the fraud and are sent to the victims via post and email. Some fraudsters have gone as far as setting up fake es-crow services in order to fool the potential sellers that the payments have been transferred. The fraudsters send the victims instructions to transfer their wine into storage accounts held within legitimate bonded warehouses. The victims are informed that upon doing this they will be paid the agreed amount. The use of storage accounts held within legitimate bonded ware-houses adds an air of legitimacy to the process but in actual fact these storage accounts are controlled by the fraudsters. Once the wine is transferred into the new storage accounts the suspects break off all contact with the victims. The wine is then moved again, normally within days and often abroad, and, needless to say, the victim never receives the money from the agreed sale. How to protect yourself • Never respond to unsolicited phone calls – if in doubt, hang up. • Always check that the details of the organisation or company contacting you (such as website, address and phone number) are correct – the fraudsters may be masquerading as a legitimate organisation. • Never sign over your wine (or any other investment) to another party without first checking they are authentic. • Don’t be fooled by a professional looking website, as the cost of creating a professional website is easily affordable. • Escrow services are regulated by the FCA under the Payment Services Directive 2009. Only deal with a registered Authorised Payment Institution. You can check the FCA register online. • Consider seeking independent legal and/or financial advice before making a decision If you have been affected by this, or any other scam, report it to Consumer direct on 03454 040506 or Action Fraud by calling 0300 123 2040, or by using the online reporting tool. Whatever you need Essex Police for, we want to make it easy for you to do it. For the first time you can report a non-emergency crime to us online. Our ‘do it online’ service lets you report non-emergency crime, road traffic collisions and access a range of information and advice easily and conveniently. Online reporting for lost or found property will be added during April. Essex Police has also subscribed to the national ‘knowledge bank’ Ask The Police, also accessible at www.essex.police.uk/doitonline. Ask the Police contains answers to hundreds of often-asked questions about policing from abandoned vehicles to youth issues. Your burning question may already have an answer wairing for you! Remember though, we still need you to dial 999 in an emergency and you can still call our non-emergency number 101. Doorstep/Rouge traders are operating in your area trying to obtain work related to block paved driveways, garden work or tree cutting, roofing or any other household repair or maintenance. Never agree to have work carried out by traders who knock on your door offering these services and always thoroughly check out leaflets as addresses provided can be false with telephone numbers that stop working if you have a problem with the work. You can also be provided with guarantees that are worthless. We would always advise residents to consider using one of our Buy With Confidence businesses who have been audited and approved by Trading Standards. The nearest three to your postcode can be found by calling the national consumer helpline on 03454 040506 or www.buywithconfidence.gov.uk We would ask all residents to look out for household repair and maintenance activity at the homes of elderly neighbours, friends or family members. Residents who do get caught out by doorstep/rogue traders are often too embarrassed to report it. If you are concerned call the helpline with the information. The second stage of the consultation exercise on the future shape and role of Essex County Fire and Rescue Service (ECFRS) has begun. Three options for change have been formulated and ECFRS are now seeking your views on these. Over the last decade, the Service has seen the number of incidents it attends reduce by around half. At the same time, the Service has increased its work on preventing fires and emergencies from happening in the first place. This consultation concludes on the 25th of April. As part of this Public Consultation Exercise there will be a series of events held at libraries across the County, including Southend and Thurrock, where people will be able to talk to Service managers about changes and options proposed in their local area, as well as fill out the survey. A full list of dates, times and venues for these events is below: Monday 22nd February 2016 Rayleigh Library 12pm-5pm Tuesday 23rd February 2016 Colchester Library 1pm-6pm Thursday 25th February 2016 Chelmsford Library 12pm-5pm Monday 29th February 2016 Harlow Library 2pm-7pm Tuesday 1st March 2016 Harwich Library 1pm-6pm Thursday 3rd March 2016 Loughton Library 12pm-5pm Monday 7th March 2016 Dunmow Library 1pm-6pm Tuesday 8th March 2016 Waltham Abbey Library 12.30pm-5.30pm Thursday 10th March 2016 South Woodham Ferrers Library 1pm-6pm Monday 14th March 2016 Basildon Library 12pm-5pm Tuesday 15th March 2016 Clacton-on-Sea Library 12pm-5pm Thursday 17th March 2016 Braintree Library 12pm-5pm Monday 21st March 2016 Grays Library 1pm-6pm Tuesday 22nd March 2016 The Forum, Southend 2pm-7pm ECFRS would like to invite you to participate in their consultation and would also be grateful if you could help them to encourage participation in the consultation through sharing/publicising the online questionnaire available via their website www.essex-fire.gov.uk and the library events. Officers from Essex Police Casualty Reduction Unit, Crime Prevention Tactical Advisors and Essex Watch Liaison Officers are at the Ernest Doe Show, Maldon Rd, Ulting, Maldon CM9 6QH today and 3rd and 4th February. Please come along and see us from 9am on any of those days for crime prevention advice, to learn more about our various Watch schemes, our Essex Community Messaging service and road safety. We look forward to seeing you. Fraudsters are sending out virus infected emails that claim a package has been seized by HM Revenue & Customs upon arrival into the United Kingdom. The official looking scam emails claiming to be from Royal Mail contain a link to a document which will install malicious software on your computer designed to steal credentials like account names, email addresses and passwords. An example email reads: Title: Your parcel has been seized Royal Mail is sorry to inform you that a package addressed to you was seized by HM Revenue & Customs upon arrival into the United Kingdom. A close inspection deemed your items as counterfeit and the manufacturers have been notified. If your items are declared genuine then they will be returned back to you with the appropriate custom charges. You may have been a victim of counterfeit merchandise and the RM Group UK will notify you on how to get your money back. Please review the attached PDF document for more information. Document (RM7002137GB).Zip Please accept our apologies for any inconvenience this may have caused. To help the spread of the virus, the email also says: “you will need to have access to a computer to download and open the Zip file”. If you receive one of these emails, do not click on any links or download any attachments and report it to us. Advice from Royal Mail on scam emails and how they contact you: • Royal Mail will never send an email asking for credit card numbers or other personal or confidential information. • Royal Mail will never ask customers to enter information on a page that isn’t part of the Royal Mail website. • Royal Mail will never include attachments unless the email was solicited by customer e.g. customer has contacted Royal Mail with an enquiry or has signed up for updates from Royal Mail. • Royal Mail have also stressed that they do not receive a person’s email address as part of any home shopping experience. Thank you for being one of the 8000 users of Essex Community Messaging. We have recently reviewed the progress of the Essex Community Messaging System and are pleased to announce the ECM App is now back online and in use. As we continue to improve the app we will be limiting the number of messages sent by text to messages that include important/serious or emergency information or requests due to cost. If you are currently registered to receive via text messages and wish to receive information about crime in your area including details on the latest scams and crime prevention advice, please edit your ECM profile to show your preferred channel as email or download the App. Or, If you require assistance in editing your ECM profile please email the Essex Community Messaging inbox. It should be noted that if your ‘preferred’ channel fails for any reason, the messages do not default to an alternative channel. Dave Jones your local PCSO will be holding a street meeting at the shops in London road, Marks Tey at 11am on Tuesday 2nd February 2016 if you would like to discuss any local issues. Unless an emergency incident occurs then officer may not be able to attend. In the event of an emergency and PCSO Jones being unable to attend he can be contacted 101 extension 487657. If it is an emergency please contact 999. PCSO Louise Neville will be holding a Street Meeting at the shops in Vine Road, Wivenhoe at 12pm on Tuesday 2nd February, if you would like to discuss any local issues. Unless an emergency incident occurs then the officer may not be able to attend. Do you have a burning question for the Police & Crime Commissioner or the Chief Constable? Essex residents who want to quiz PCC Nick Alston or Chief Constable Stephen Kavanagh are being given a unique chance to put forward their questions as both men take part in a live webchat. In recent months the PCC and Chief Constable have made major announcements about the future of Essex Police. These announcements have included changes to local policing including a reduction in PCSO numbers, the proposed closure and sale of police stations and changing and modernising how the public contact police. The live webchat will be taking place on Monday January 25 from 6pm to 8pmand people can join in by logging on to http://essex.police.uk/talkbacklive. Please be aware that missing child Damian Howes has been located in the Westlciff area today 25/01/2016, Essex Police would like to thank all members of the public for their quick response in this matter. 13-year-old boy Damien Howes, missing from his Essex home 24 January 2016 Essex Police are asking for help from the local community to locate a 13-year-old boy, missing from his home in Westcliff. Damien Howes was last seen leaving his home at about 2.40pm on Thursday 21st JANUARY 2016, heading towards Southend town centre; officers are concerned for his welfare. Damien is described as white, around 5ft 3in tall with short mousy brown hair. He was last seen wearing grey trousers, a red hoody, a black jacket and blue trainers. Anyone with any information about his whereabouts should call Essex Police on 101. For information and impartial advice on protecting yourself, your family, your business, your computer and mobile devices whilst online please view the following link. You will find a series of informative video clips – https://www.getsafeonline.org/video/ The website also gives plenty of additional advice and valuable information including safeguarding children and social networking. . Drivers should be in no doubt that if they are caught drink or drug driving they risk losing their licence as well as facing a fine and even a prison sentence. You can report drink and drug drivers by: Dialing 999 if you know someone is intoxicated and you see them getting behind the wheel of a car. Calling Essex Police on 101 to give police information about someone who regularly drives under the influence. Alert: Phishing Email The National Fraud Intelligence Bureau (NFIB) has been made aware of a phishing attack whereby an email containing two attachments has been sent in order to socially engineer the end user into unpacking compressed files. The malicious emails claim to come from counter terrorism departments at national police forces, including Dubai Police Force. Attached is a PDF file and a.jar file. The PDF is not harmful, but is included as a decoy file. The malware is in the archive .jar file. To make the emails seem legitimate, the criminals have included the names of people employed by the police forces in the signature, and included names of employees at the company being targeted. The email reads “We got a terror alert regarding your business area. Be advised to follow the protective measures (Security Tips) as attacked to keep yourself, your company and your family secured.” Organisations targeted with the malware have generally been in the energy, defence, finance, government, marketing and IT industries based in Bahrain, Turkey and Canada. Although at present the email has not been seen in the UK, with recent events it is thought that this may well spread to other countries. Our advice is to Protect yourself by making staff aware of this MO: ? Do not click or open unfamiliar links in emails or on websites ? Check the legitimacy of the email with the company that has supposedly sent it. It is a good idea to find a telephone number for them independently from the email as the phone number provided may be fake or go straight to the suspect. ? Ensure you have up-to-date anti-virus software and perform regular scans. ? If you have clicked or activated the link you should seek professional advice from a reputable company. The next Local Community Action Panel (L-CAP) is Wednesday 2nd December at 10am. And will be held at West Mersea Town Council Offices, Melrose Road, West Mersea. L-CAPs are multi-agency problem solving groups which look to identify and achieve solutions to local community needs and problems. Come along and have your say. Essex Police are dealing with a technical fault on the telephone lines – in particular calls in to the Police using the 101 telephone number. Please continue to keep trying, or use 999 if it is an emergency – a further message will be sent once this problem has been resolved. Thank you for your patience. WARNING There is an increase in items being stolen from cars in car parks at this time of year whilst drivers are distracted loading purchases into their vehicles. When you have finished your shopping please; If you are on your own or need to leave your vehicle, perhaps to return a trolley, lock your car and try to keep it in sight. Do not leave handbags, laptops or mobile phones on the seat at any time even when loading your boot or just returning your trolley. Keep your car door locked when travelling slowly through car parks, in traffic queues or at traffic lights. Keep high value items covered or in your boot out of sight. Boxes of cigarettes are particularly desirable due to their high value and ease of resale. Remove all high value items from your vehicle immediately when you get to your destination. Please always be aware of who is around you and keep safe. Thank you for reading. Watch Out for Storm Cowboys Householders are being advised by Essex County Council Trading Standards against using cowboy builders or rogue traders if their houses or fences have been damaged by the recent storms and high winds. Legitimate builders, plumbers, carpenters and other craftsmen will be working at full stretch and Trading Standards is concerned that dishonest traders will take advantage of the situation to rip off vulnerable residents. Traders who knock on your door or leaflet you may provide you with a false address or a pay as you go mobile number which cannot be traced. Trading Standards advise people to speak to their insurance companies before engaging anyone to carry out repair work and to approach businesses approved by the insurers. In the case of flood damage, electricity and gas companies may be able to make free inspections and advise on safety work. If your house or property has been damaged by the recent storm the last thing you need is a rogue trader adding to the problem. We would recommend using one of our Buy with Confidence traders, who have been audited and approved by Trading Standards” You can find a Buy with Confidence trader or obtain advice and guidance on any consumer issue by calling the Citizens Advice Consumer Helpline on 03454 040506, who handle calls for Trading Standards or look on www.buywithconfidence.gov.uk We would also urge residents to ensure that family, friends and neighbours are not ripped off by rogue or doorstep traders. Learn more about Restorative Justice at free events across Essex The Essex Restorative Justice Hub, Essex Youth Offending Service and Thurrock Youth Offending service are putting on events between November 16-20 to mark International Restorative Justice Week. These sessions are open to the public and are to raise awareness of the benefits of Restorative Justice (communication between victims and offenders and neighbours in dispute). Tickets are available. And they are free! The story of how Restorative Justice worked for a young boy meeting his attacker can be seen here: http://www.essex.pcc.police.uk/2015/11/restorative-justice-now-open-to-all-as-service-rollled-out-across-essex/ A short but compelling film showing Restorative Justice in action can be watched here: http://www.essex.pcc.police.uk/restorative-justice/ Details of the Awareness Sessions in Chelmsford, Southend and Thurrock can be seen here: Monday 16th November, Chelmsford https://rjawarenesschelmsford.eventbrite.co.uk Tuesday 17th November, Southend https://rjawarenesssouthend.eventbrite.co.uk Thursday 19th November, Thurrock https://rjawarenessthurrock.eventbrite.co.uk Full day session tickets for Chelmsford and Colchester are available using the links below: Wednesday 18th November, Chelmsford https://www.eventbrite.co.uk/e/how-to-facilitate-restorative-approaches-a-taster-session-chelmsford-tickets-19488732323 Friday 20th November, Colchester https://www.eventbrite.co.uk/e/how-to-facilitate-restorative-approaches-a-taster-session-colchester-tickets-19488734329 Restorative Justice is a process which gives victims the opportunity to meet or communicate with those who have offended against them. It holds offenders to account and helps them take responsibility for the harm they have caused. Both parties discuss next steps and the offender can then make amends. Victims are given the chance to explain to a criminal the impact a crime has had on them, ask questions of the offender and seek an apology. It enables offenders to be held to account for what they have done but also take responsibility for the harm they have caused. If a face to face meeting is not appropriate they can do so indirectly via letters or messages. Restorative justice is used for less serious offences or conflicts, such as graffiti or anti-social behaviour. Everyone involved must consent to take part. To enable these interactions to take place the Police and Crime Commissioner for Essex, Nick Alston, has created a Restorative Justice hub, which is made up of agencies across Essex who work to support victims of crime, reduce offending and support communities. WINTER ADVICE FOR BUSINESSES With dark evenings & bad weather approaching, the opportunities for crime & anti-social behaviour will increase, as will issues for personal safety in & outside your business premises. Let`s start with safety. Test timers/sensors for security lighting inside & outside your premises. Service & test lights on company vehicles. Ensure you have high visibility jackets in your company vehicles. Test smoke / carbon monoxide detectors. If you don’t have any, install at least one on each level of your business & near higher risk areas. Ensure you have spare batteries for torches, smoke / carbon monoxide detectors. Have you had an annual Fire Risk Assessment as required by Regulatory Reform (Fire Safety) Order 2005? You can find a number of qualified persons via a web search using words such as Essex – Security and Fire Safety Risk Consultants. They will carry out the risk assessment and must present you with a written report. Have your fire extinguishers been serviced? Report any broken street lighting in your area to your local council (each lamp column has a number on it.) Now let’s look at security. Check locks work on doors, windows, gates, sheds, outbuildings & oil tanks etc. Removing keys from locks is a condition of insurance. Consider a security system being installed (one of the best deterrents against burglary) If you have an alarm, ensure it is set when the building is unoccupied. Is your alarm system monitored out of hours? If you have an alarm, check it has been tested/serviced recently. CCTV is another deterrent & can record good evidence of an incident. If you haven’t got one, could you & neighbouring businesses work together to install a shared CCTV system? This will reduce costs & cover a larger area. Ensure you only gather images of your property & speak with a local security company for a professionally installed system. Ensure the images you are achieving are of the standard required. Check this against your Operational Requirements Table. Your system must be fit for purpose, this is a requirement of CCTV Codes of Practise. Ensure your site is cleared of rubbish & other materials at the end of the working day & during long periods of closure. Test timers/ sensors that switch on security lighting. Set timers to come on at various times. Do not park vehicles against your building if this will aid people to climb onto the roof of your business. Vehicle keys should be secured in a safe or removed from site to prevent vehicle theft. Remove high value items, tools & machinery from parked vehicles out of hours. Ensure the perimeter of your property is secure. Are you in a local Industrial/Business Watch Group? If not consider starting or joining one. Contact the police station for the area your business is based in and ask to speak to the Essex Watch Liaison Officer. For more advice on these & other security issues visit the Essex Police or Essex County Fire & Rescue Service websites. Avoid becoming a victim of arson. If possible, please hide your wheelie bins during Halloween and bonfire night celebrations. This warning comes after a number of arson attacks since the 1st September 2015 in Essex. Between September 1st and October 24th, police investigated 12 reported incidents of bins being set on fire. Sergeant Julie Mackay from Essex Police said: “In the run up to Halloween and bonfire night, we encourage residents and businesses to store all bins away to avoid them becoming a target for vandals and arsonists. This includes both wheelie bins and refuse containers.” Advice from police includes not storing your wheelie bin close to a house, building or shed, not overfilling your bins or leaving loose rubbish around them and only placing your wheelie bin out on collection day. Do not store bins or rubbish by windows or doors, as if set alight, the fire could easily spread to the building. If you see an unattended fire please ring 999 and ask for the fire service. The National Fraud Intelligence Bureau (NFIB) is reminding the public of a method called “SIM Splitting” used by fraudsters to steal your money. 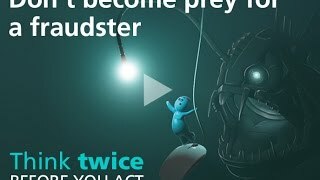 How the scam works Fraudsters in the UK purchase victims’ personal details that are obtained through the spread of Trojan malware. Victims’ detail packages are purchased from overseas fraudsters specialising in the collection of compromised personal data to sell. Specific data is extracted, namely online bank account details and statements. Using the victim’s banking details to gain telephone access to the bank account, the fraudster then opens a parallel business account in the victim’s name. Opening a business account is subject to less stringent security checks once an individual already has a current account with a bank and helps make any transfers of money in the future less suspicious. Details of the victim’s mobile phone, again extracted from the purchased personal data package, are then passed to an individual who specialises in the SIM Split step. This SIM Splitter then: • Uses the bank statement obtained through the hacking to establish the mobile network the victim belongs to; • Uses open source searches, using the victim’s details, to ascertain potential answers to security questions; • Uses open source searches to establish the mobile phone network provider; • Obtains a blank SIM card, either through an insider at a phone company or by purchasing one; • Contacts the phone provider and tells them that the mobile phone has been lost/damaged. The new SIM card is activated while the victim’s is cancelled. Contact details and security questions may be changed with the phone provided to further hinder the victim from reporting the fraud. As soon as the SIM card is activated, the SIM Splitter contacts the fraudster and tells them to transfer funds from the victim’s current account into the newly set up business account. As a security measure the banks will often make a call or send a text to the phone number registered to the account to confirm if the transaction is genuine. The SIM Splitter agrees to the transfer when contacted and disposes of the SIM card afterwards so not to be traced. The fraudster can withdraw or transfer funds away from the business account with a lower level of scrutiny whilst maintaining a certain level of access and control of the account with the stolen details. How to protect yourself against this type of fraud • Always make sure you have suitable anti-virus software installed and that your firewall is switched on. • Always consider what you are downloading – do not open files from unknown sources. • Be wary of ‘pop-ups’ requesting unsolicited downloads. • If you discover a virus on your computer, disconnect from the internet immediately and ask a specialist for advice. • When creating a password, try not to use the same password for more than one account. This will prevent further accounts being taken over if one has been compromised. Talk Talk, the phone and broadband provider, has been the victim of a cyber attack on their website commonly referred to as DDoS – distributed denial of service attack. This has led to hackers accessing Talk Talks servers and stealing personal data, which could affect over four million customers. It is currently unknown exactly what data has been stolen but Talk Talk has stated that there is a chance that some of the following data could have been accessed: ? Name and addresses ? Dates of birth ? Email addresses ? Telephone numbers ? Talk Talk account information ? Credit card and banking details Protect yourself ? Be wary of any emails claiming to be from Talk Talk asking for additional information such as passwords even if they are able to tell you specific account details – this is most likely a phishing email and sent to gain access to your account. ? If you have opened an email attachment please ensure you change the passwords for all your bank, email and online shopping accounts. ? As well as emails be wary of any telephone calls claiming to be from Talk Talk that ask for additional information or want to gain remote access to your computer. Again they may tell you specific details about your account. If you get such a call do not give any details, terminate the call, use a separate telephone line/mobile phone and call Talk Talk back on one of their known numbers to ascertain if the call is genuine. ? Monitor your bank accounts for any unusual activity that you believe may be fraudulent. If you think you have been a victim of this type of email you should report it to Action Fraud, the UK’s national fraud and cyber crime reporting centre.www.actionfraud.police.uk There is an email in circulation that appears to have been sent from a legitimate Lancashire Constabulary email address. The email appears to come from ‘Lyn Whitehead’ and is asking the recipient to pay an invoice that is attached to the email. The email has not been generated from inside the Constabulary or by the Constabulary. This email has not been sent from Lancashire Constabulary. A third party supplier to the Constabulary has had their data breached, as a result of the breach this Lancashire Constabulary email address has been spoofed and used to generate spam to recipients far and wide. This type of email is commonly referred to as spam, and if you have received it you MUST NOT open it. Instead delete it from your email system to avoid infecting your device. Protect Yourself: ? Do not click or open unfamiliar links in emails or on websites ? Make sure you install and use up-to-date anti-virus software ? Have a pop-up blocker running in the background of your web browser ? If you have opened the attachment and ‘enabled macros’ it is very likely that all your personal data will have been breached. You MUST change all your passwords for personal accounts, including your bank accounts. If you believe you have become a victim of this get your device checked over by a professional. If you believe you have become a victim of this get your device checked over by a professional and make a report to Action Fraud, the UK’s national fraud and cyber crime reporting centre: http://www.actionfraud.police.uk/ If you do make a report please provide as much detail as you can about the email and any effects it has had on your computer. Additionally if your Anti-Virus software detects any issues in relation to this email please provide us with the details. This message is intended for those people Living in the more rural communities of Essex. Lighting/Alarm/CCTV • Consider installing a remote monitored audible alarm. • Illuminate areas which are overlooked from the dwelling (farmhouse) or covered by CCTV by using ‘dusk to dawn’ security lights. • To improve security for outbuildings and isolated locations consider building a perimeter – fences, CCTV, alarms where practical. • CCTV can provide surveillance on places out of view of the farmhouse. People are being targeted to become “Parcel Mules” as part of a reshipping scam, which results in them handling stolen goods and losing out financially. Victims are predominantly recruited through job advertisements and dating websites. They are persuaded to have items delivered to their addresses, and to then send the items elsewhere. They are also asked to pay for postage. Victims are contacted through Freelancer websites and invited to become a “Freight Forwarder” as an employment opportunity. The work is advertised as processing packages and forwarding them to clients. The items being delivered have been purchased through fraudulent means, including the use of stolen/fraudulently obtained cards. The items being delivered are often high value goods or electrical equipment such as trainers, perfume and the latest phones. If you act as “mules” you are not only handling stolen goods, but you also lose out financially. You will not get paid the promised salary, and you pay for the postage and delivery of the packages personally. You will also have provided enough of your personal details to allow identity theft to occur. How to Protect Yourself: ? Do not agree to receive packages at your address for someone that you do not know and trust. ? Be cautious of unsolicited job offers or opportunities to make easy money. ? When accepting a job offer, verify the company details provided to you and check whether they have been registered in the UK. ? Be wary of someone that you have met only online who asks you to send money or to receive items. Protect your privacy and do not give your personal details to someone that you do not know and trust. If you believe that you have been a victim of fraud you can report it online: http://www.actionfraud.police.uk/report_fraud or by telephone: 0300 123 2040.